The Nemo Power Tools Max Planck 6000 Diving Floodlight is designed for commercial divers and professional underwater photographers. 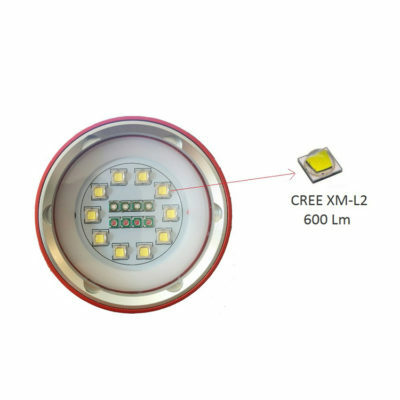 Indeed, this powerful light uses 10 CREE LEDs to create three intensity levels and multiple color modes. 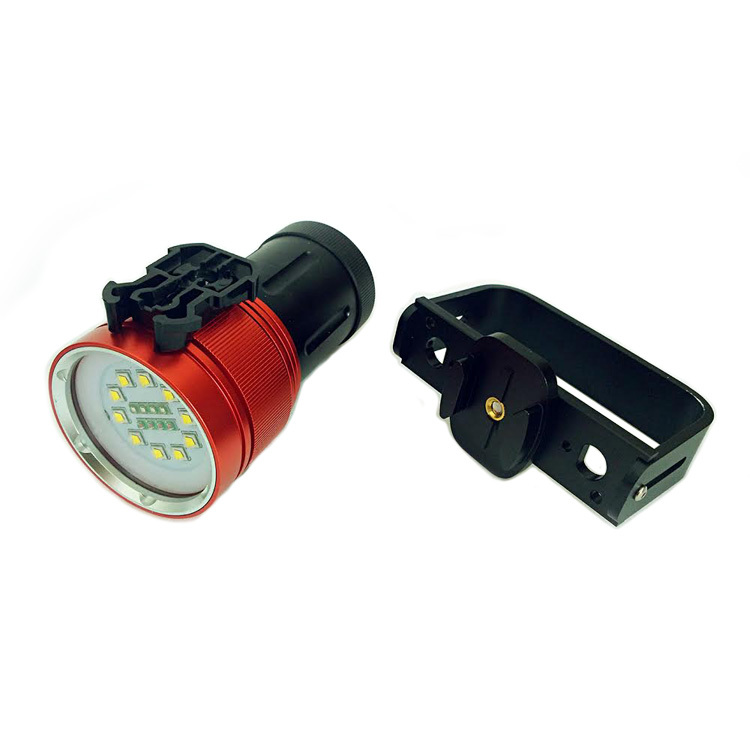 The Max Planck 6000 is a 6000 lumen, 120-degree wide angle LED floodlight. Constructed of aircraft-grade anodized aluminum of course, Nemo’s flagship dive light features 3 intensity settings (25%, 50% and 100%), operating up to one hour on the highest setting. 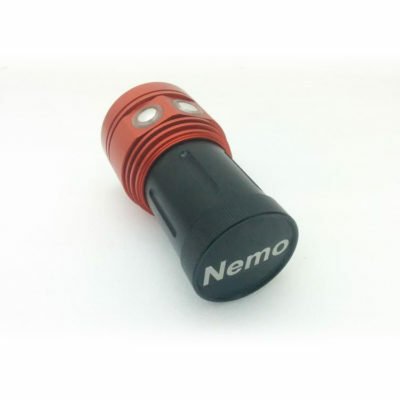 Additionally, color settings include a blue-light fish attractor mode, a static red-light mode for professional underwater photography and color balancing, and a flashing red-light mode. 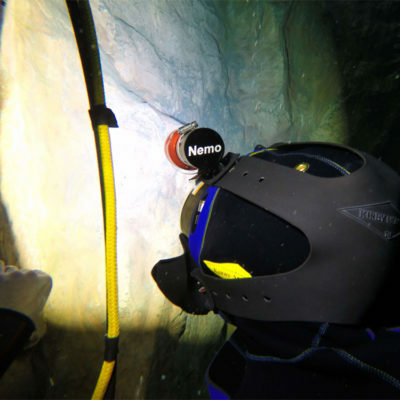 In fact, uses include wide angle illumination, professional underwater photography, videography, and nighttime search and rescue. 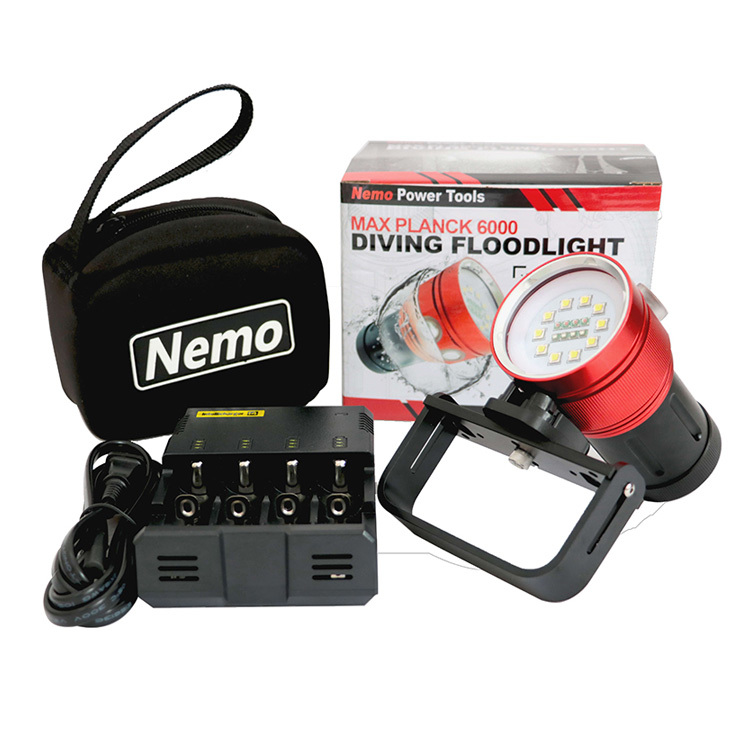 Finally, this Powerful light uses 10 CREE LEDs capable of 10 watts each, making this flood light one of the most powerful dive lights available.